“Chestnuts roasting on an open fire, Jack Frost…” Whoa, whoa, whoa sister, stop already, wrong time of year. It’s time for green to start showing all it’s beautiful new shades, not for popping freshly roasted chestnuts into our pockets to keep warm. Oh sure, frozen are a great stand-in for fresh: to use in stuffings and soups, but the sweet tooth has been doggin’ me a bit more than usual (I’ll blame Easter, yeah, that’s it…) so I’m thinking souffles, puddings, ice cream, or puree (for crepe filling, of course). 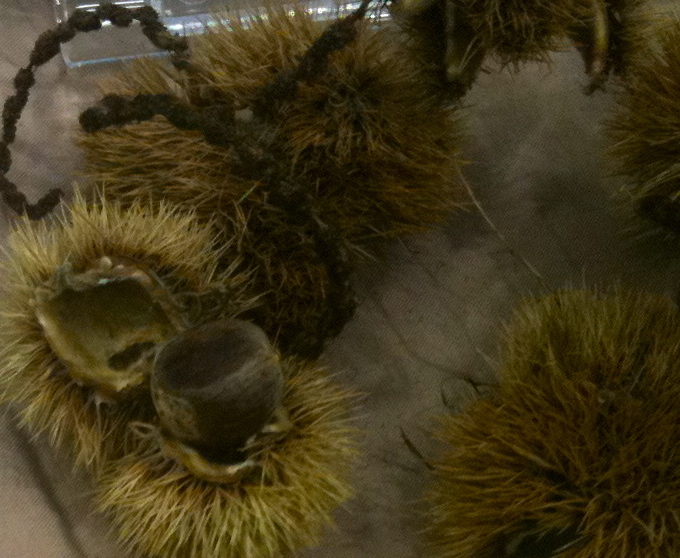 Why stop at the crepe filling, bring on the chestnut flour to make those crepes, that need filling. Chestnut flour. 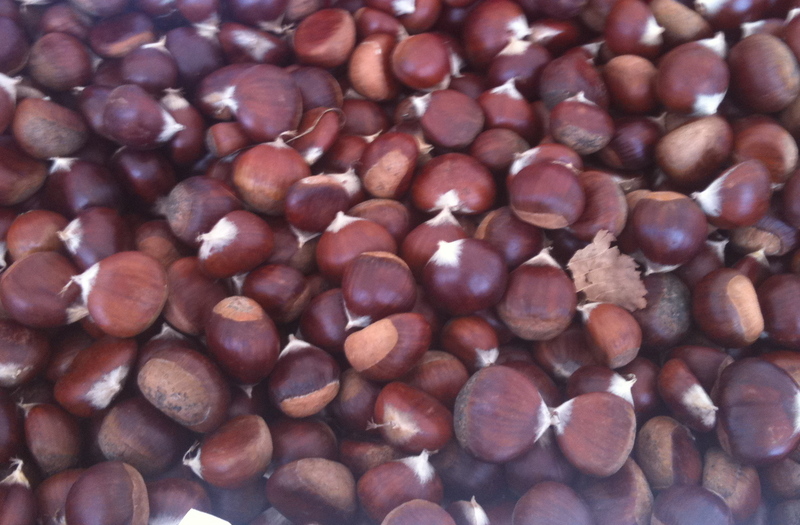 In both Europe, and here in the States, chestnut flour was a staple used more than wheat flour. It was the wheat flour that was more of a luxury (go figure). Then bam, a 20th century chestnut blight, and oh how the tables turned. But lucky us, the majority of stateside chestnut growers, rebuilding blighted trees, are located just across ‘the lake’ in Michigan. 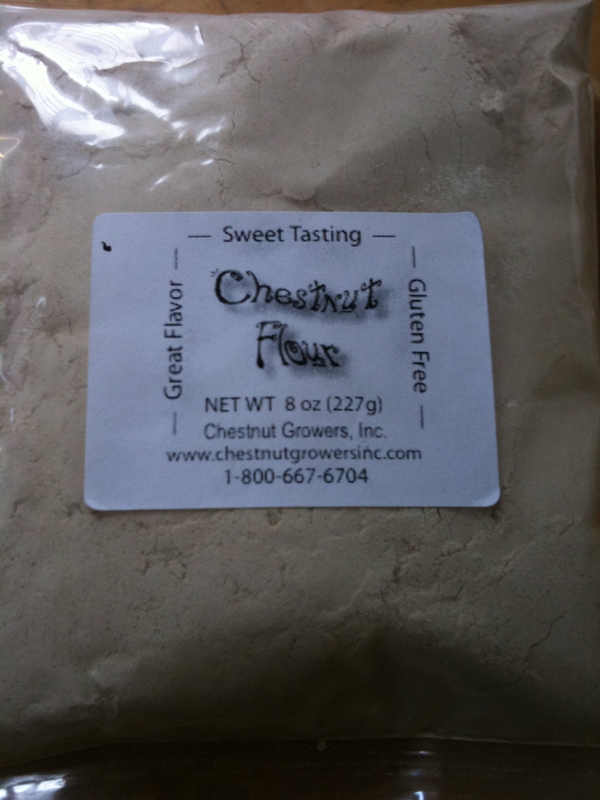 Gluten-free, low fat, and nutritious, chestnut flour is a great stand-in for wheat flour. Chestnut flour does lack gluten, and is denser than wheat flour, so in some recipes you might want to mix with wheat flour, or other GF flours if you are celiac or gluten intolerant. You don’t want to mess around with mixing flours, and are hankering to whip up something sweet? Here is a simple and delicious brownie recipe courtesy of the Chestnut Growers, Inc. (which Hillside Orchards is a member of). Heat oven to 325 degrees. Whisk flour, salt and baking powder in small bowl; set aside. Fit a 16×12 inch piece of foil in the bottom of a 13″x9″ pan, using the overhang as handles. Spray foil with cooking spray. Chop chocolate, and melt with butter in a bowl, over a pot of simmering water. When completely melted remove from heat. Whisk in sugar and vanilla, then the eggs. Continue whisking until smooth and glossy. Add the dry ingredients (including ‘slices’ or nuts if using) until just blended. Spread batter evenly in the pan. Bake approximately 40 minutes (or until an inserted toothpick comes out clean). Cool in the pan for 5 minutes. 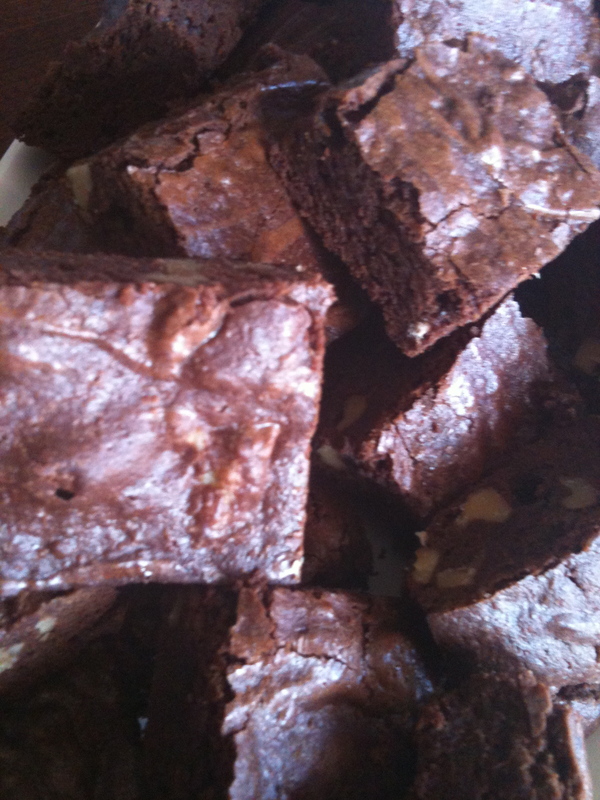 Use foil handles to remove sheet of brownies from the pan. Cool completely on wire rack. Cut. Serve. Devour. This entry was posted in To Market with Mo and tagged Chestnut Growers, chestnuts, Chicago Area farmers marekts, Chicago Farmer's Markets, Evanston Farmer's Market, Farmers Markets, food artisans, fresh organic, fresh seasonal organic produce, gluten-free, Green City Market, Hillside Orchards, Inc, moira's blog, sustainable, to market with mo. Bookmark the permalink.